Timeshare Cancellation: How Do I Know If I'm Making The Right Choice? Timeshare Cancellation: How Do I Know If I’m Making The Right Choice? Are you wondering if you can get a timeshare cancellation? If you are stuck with a timeshare that you don’t want, I am sure that you have a lot of questions about the process of getting out of a timeshare. Read on to learn more about timeshare cancellation and get your questions answered. Picture this, you are strolling through a shopping mall. You pass by an attractive kiosk with a tropical vacation package advertised. There is a well-dressed salesman there who starts talking to you. He tells you that you can get a free vacation. You start talking to him, and he sells you on a timeshare. You agree to go to the presentation, and from there the rest is history. You don’t have to picture this because you own a timeshare. You know how the timeshare industry promises you the moon in order to get you to buy a timeshare. You know what it is like to wonder how to get rid of a timeshare. If you need a timeshare cancellation, chances are it is because you have been the victim of a timeshare scam. It is only natural that you have some questions about what the cancellation process will be like Making sure that you know all the details going in will help ensure that you are not the victim of another scam. If you want to get out of your timeshare, it is important to understand all of your options and to ask the right questions. There is one critical question that you need to be asking yourself and anyone you call. What is a timeshare cancellation exactly? This is a great question, and it is important to know the difference between a timeshare resale, takeover, and cancellation. With a timeshare resale, you sell your timeshare obligation to a new buyer, the same way you would a house or other piece of real estate. Like all real estate transactions, there is some inherent risk involved if the new buyers feel you were dishonest or in some cases are just unhappy with their purchase. In addition, a timeshare resale takes time which means you have to make more payments. With a timeshare takeover, a company or charity takes over your timeshare on your behalf. If you want to donate your timeshare or give it away, this might be a good option. However, be careful and make sure you are fully off the timeshare deed. Otherwise, you might still be on the hook financially. Also, there are lots of scam companies that might try to take over your timeshare and then resell it for a profit. In general, this is not really the best answer to how to get rid of a timeshare. A timeshare cancellation gets you out of your timeshare obligation altogether. Depending on the exact terms of your timeshare when our timeshare exit team reviews your contract, you may even be able to get a refund from the timeshare company. This is not a timeshare scam, and we are a reputable company with a stellar BBB rating. We are on your side, and we will get you out of your timeshare, LEGALLY. When you call us for your timeshare cancellation, we go to work. We deal with the timeshare company so that you don’t have to. 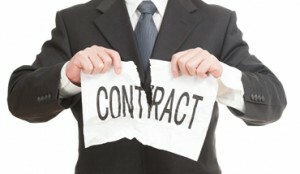 We examine your contract carefully because no two timeshare contracts are the same. Then, we get to work. We write a letter that is guaranteed to get you out of your timeshare and on with your life. Stop wasting time with options that don’t work, and that could have dramatic consequences. Instead, call our timeshare exit team to get out of your timeshare for good. 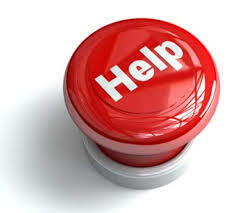 We are here to lend a helping hand when you need us.